Staff Members may share a single schedule, or each may have individual schedules that they follow. You can additionally set up multi-schedules to allow Staff Members to each have multiple different schedules. If your Staff works regular hours during the week but half-days on the weekend; this setting is for you. 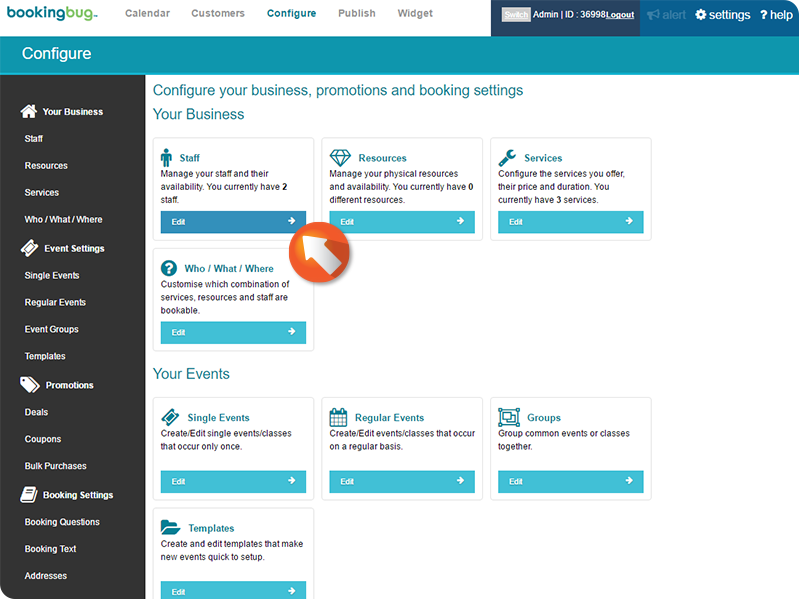 To adjust the Staff schedule options; from the Dashboard, click the Cog/Settings icon. 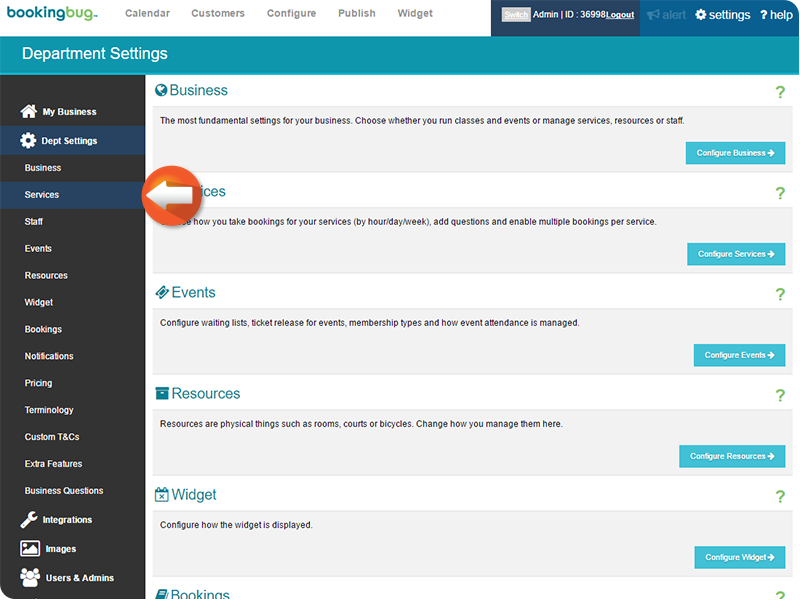 Click Change next to the Service Type field. 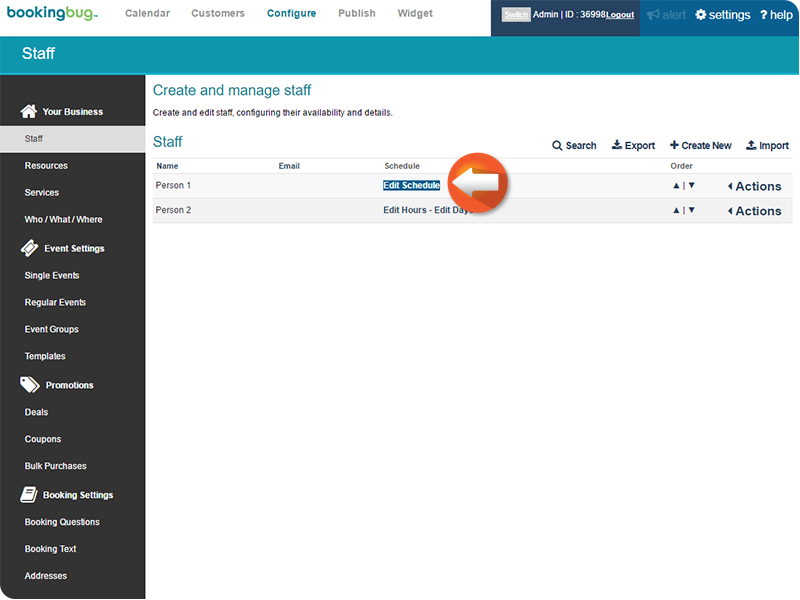 Navigate to, then mouse-over the Actions icon next to the desired Staff Member to reveal the menu. 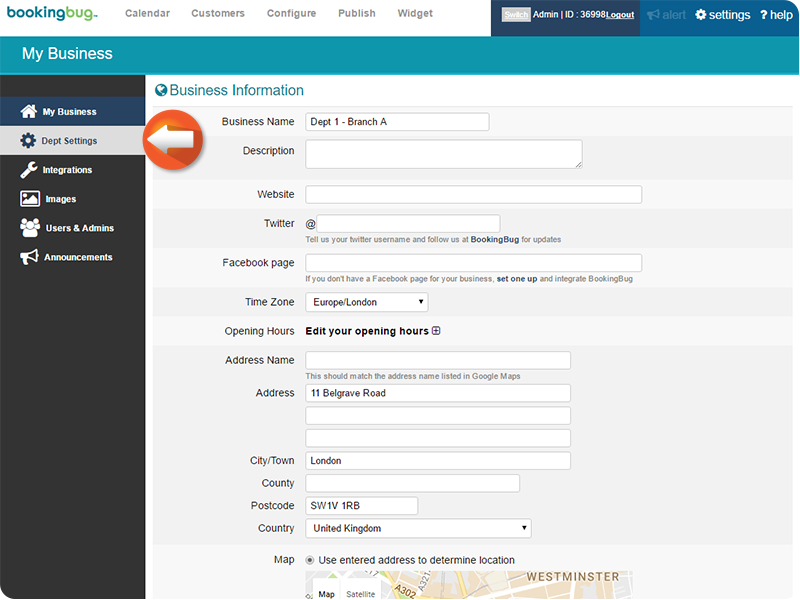 Click the desired Schedule setting to create an Availability Schedule. 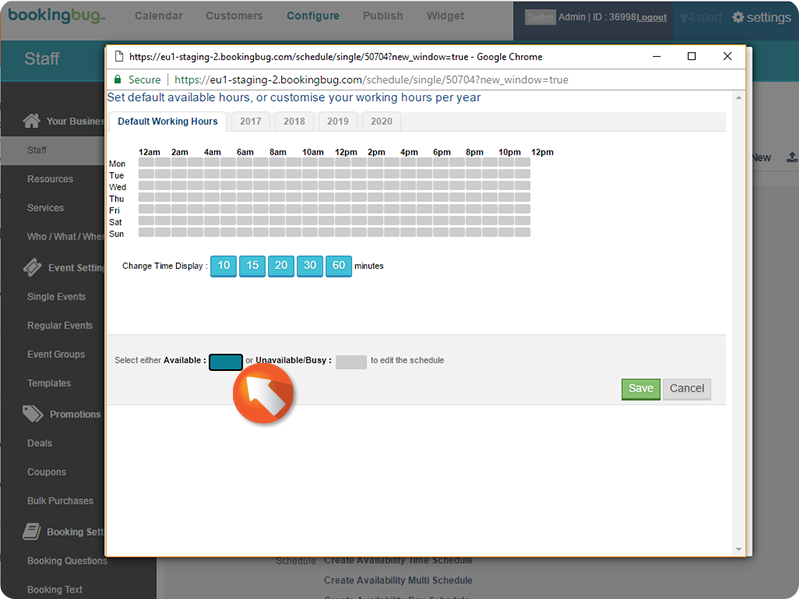 Time Schedules let you set the availability by time of the day, Week Schedules let you determine which weeks Staff are working, and Day schedules select the days that Staff work. 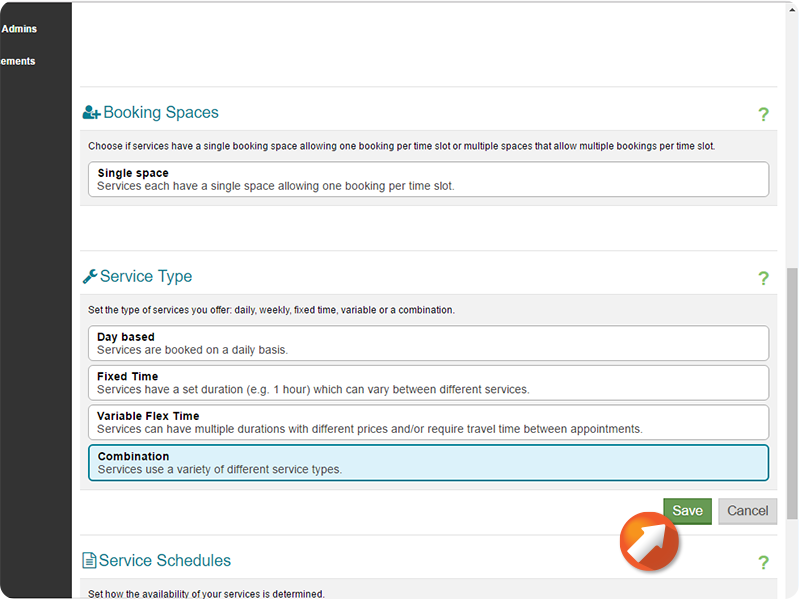 If you would like to use a combination of these options, click Create Availability Multi Schedule. 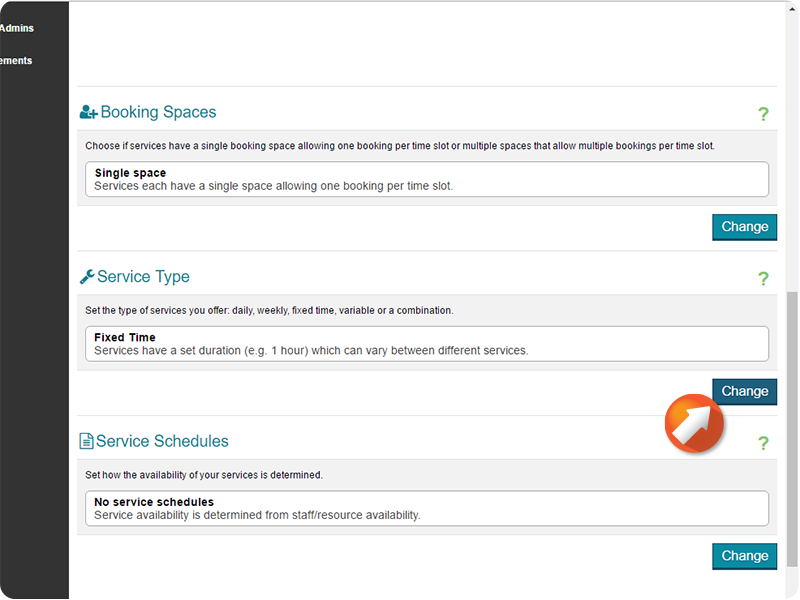 The Availability menu will display. 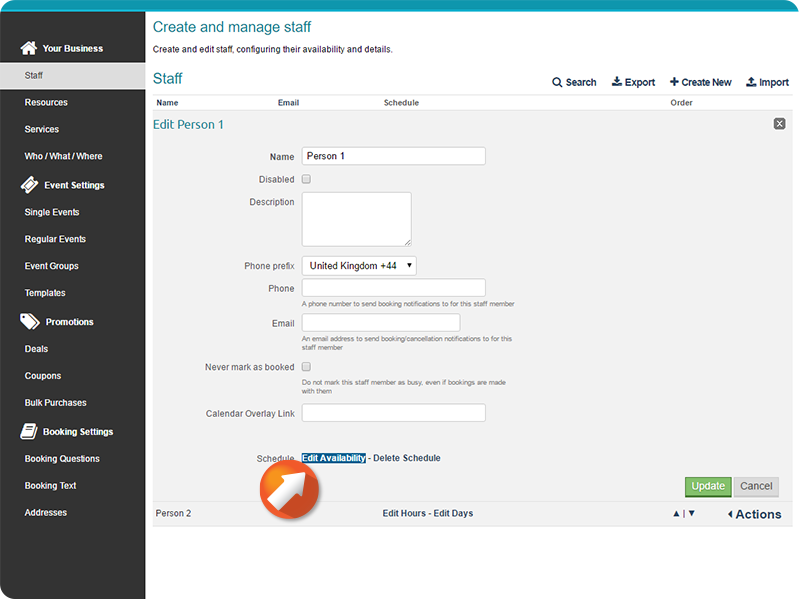 Click Create Another to create your first Staff Schedule. 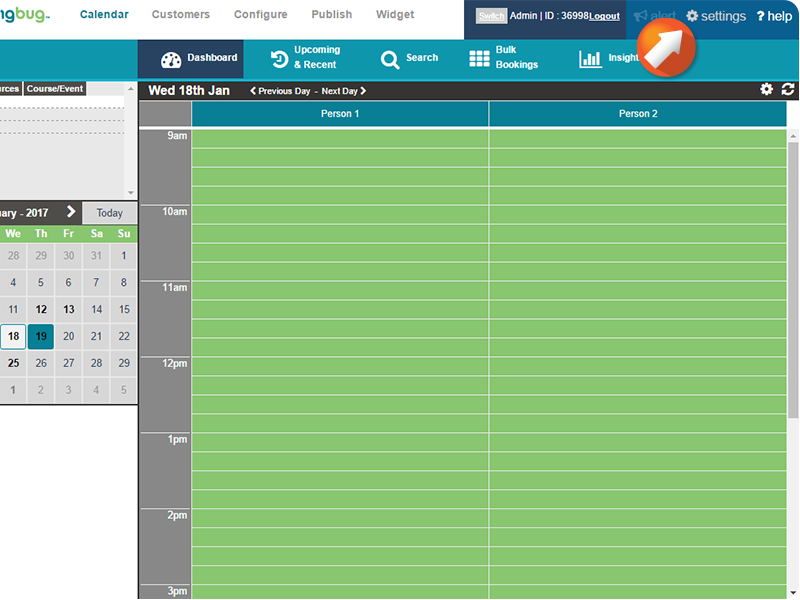 Click Edit Schedule to set the weekly schedule for the colour. 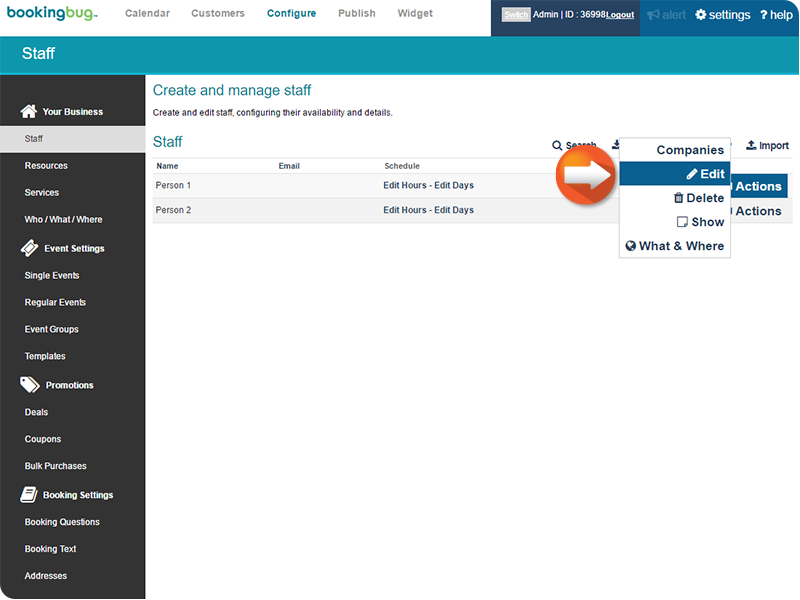 Click the Blue icon to enable availability, then click and drag across the Availability Grid to set availability for your Staff Member. 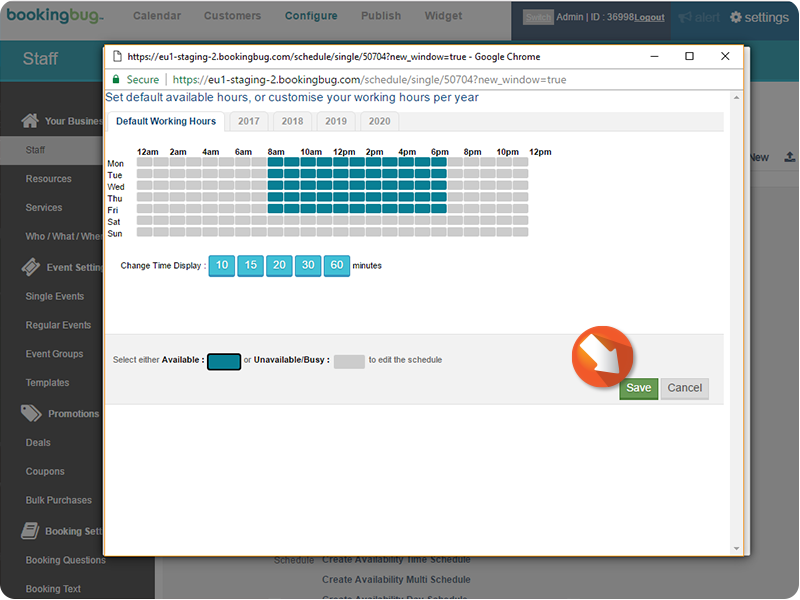 Click and drag across the Availability Grid with the color of your choice selected to set the schedule for the Staff Member on the desired dates. Repeat this process to create the desired schedules/routine for your Staff Member. 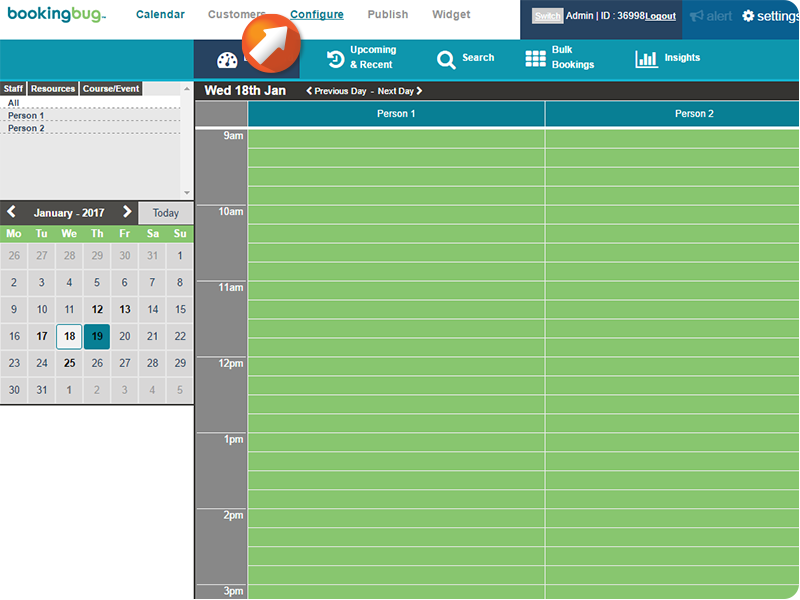 Click Edit Availability to edit the Schedule. 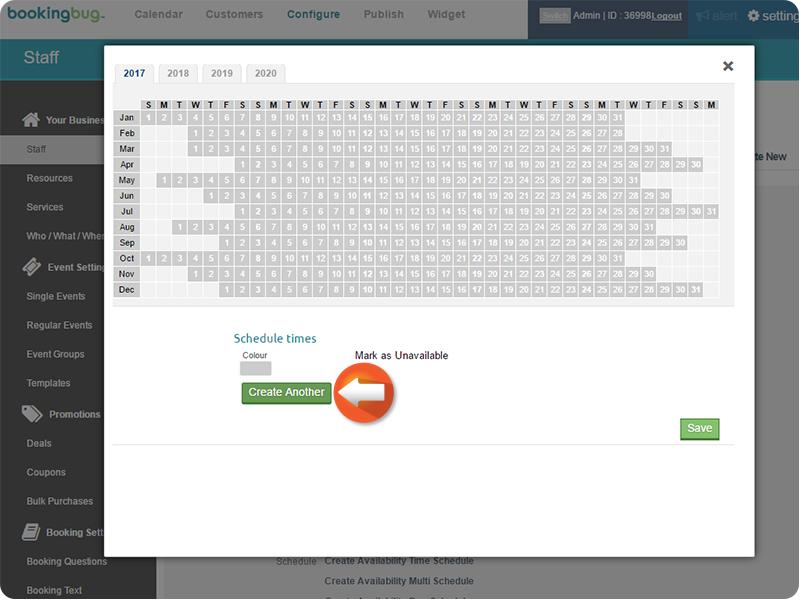 Click Delete Schedule, then OK to delete the Schedule. 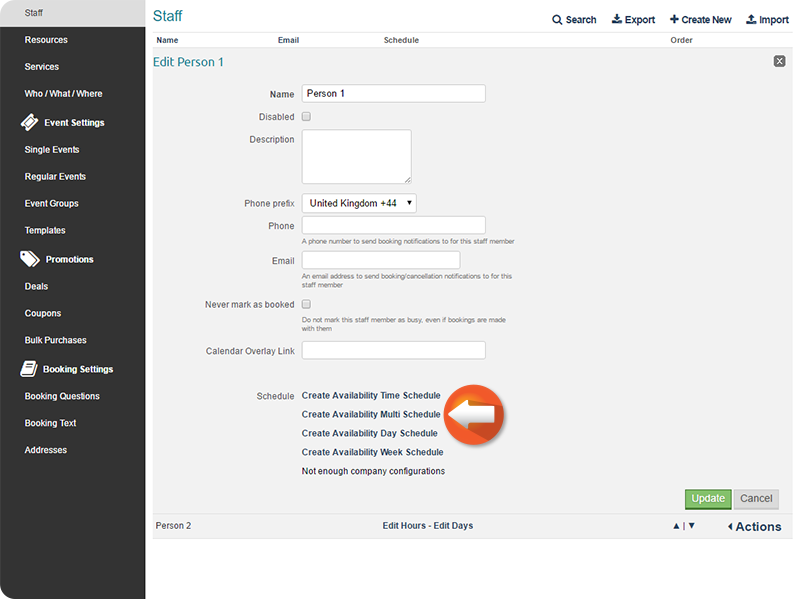 From the Staff Member Menu, click Edit Hours - Edit Days / Edit Schedule to quickly view and edit Staff Schedules.